“I’ll be glad to get home and out of this harness.” Sasha said, as the team left the lean-to at what seemed a very early hour. The dogs were well-rested and eager to be finished with the trip. With that prospect in range, their moods brightened a bit, though still dampened by Larik’s noticeable absence. They resolved to put forth their best to hasten along the last leg, and they moved swiftly up the familiar mountain. The new snow and cold air made the going easy. The light sled with the young rider cruised easily past places that so recently had been bare ground or spongy swamps. Finally crossing Tear-In-The-Rocks Creek, they knew rest was within reach, and barked calls of relief to one another. Along the way, Rol discovered three more jacket-fringe trail markers. He’d checked at each location for any evidence of stashed goods, finding none, and was still unaware he was bound for Tun’s home on the mountain. As the group crested the last hill, the Lodge came into view. They stopped and stared with disbelief. It was a complete surprise to Rol, and it nearly shocked him, thinking this was only a wilderness trail wending its way eastward. Even to the dogs who knew the place as Home, the sight was astounding. The entire campus was percolating with people and dogs engaged in various activities, moving about or gathered in small groups around some item of interest. Immediately they were recognized as the populace of Tunkan. It seemed the entire village had picked up and relocated to Tun’s lair. Two yarangas were erected behind the Run-In, and smoke curled from their tops. Children played and dogs barked, grownups engaged in work and conversation. The smell of cooking food was unbearably intoxicating. Sasha and Rol searched the crowd eagerly, scanning for those most dear. He his mother, father and sister, and she Mother, Jiak or Tun. Kotka was on the move, out front and free-reined. He would have sprinted if not for his bad leg, and made a fast, limping run to the welcome respite. The team streaked behind him into the crowded yard. Heads turned as they made their entrance, and between expressions of astonished surprise could be heard their names and thankful glee. Several people raced to the party, swarming over Rol as if he’d just been freed from burial beneath an avalanche, inquiring as to his condition and grasping his arms. Rapidly the word of his return spread, and the excited crowd grew larger and became louder. Rol was ushered to the Lodge as helping hands removed his parka, others his boots. Before he was seated one person was handing him a cup of hot tea as another offered him a hearty soup and bread. A mother washed his face and brushed back his hair before planting a kiss on his forehead. In the yard, several Rol-sized young men attended to the dogs. Harnesses were removed and dishes of chow and bowls of water were made ready to a chorus of congratulations, compliments, and words of appreciation and admiration. A steady parade of unknown dogs and familiar ones swarmed around and streamed past the new arrivals. The Dog House was overrun, dogs too numerous to count. The team quaffed long drinks of water and ate with abandon. All but Alexei. Now, back at their own home, he missed Larik tremendously. Here where his bed lay empty. And here on the porch where he should be lying, complaining about the over-crowding, and shooing dogs away from his dish. In spite of the fact an entire village of people and dogs surrounded him, Alexei somehow felt alone. Suddenly it seemed as if a little light had gone out of the world. Even his team and his favorite people could not fill the void. Sasha continued to search the crowded campus for dogs and people she knew. There were faces of friends and they were welcome, but she could not find those she desperately sought. Mother. Tun. Jiak and Bek, Lema and her old pack, Nina or Tati. Her world was fragmented and confused, upset and toppled. On her arrival Home, she expected that finally all the quandaries and mysteries would be settled and made clear. She would be caught again in Tun’s gaze, held in his loving arms. She would see Mother, and kiss her face, and catch up on all that has passed since their parting. She would be greeted by Jiak and Bek and Nina, and be showered with affection which she would lavishly return in equal measure. She would be assured that all is well once again, and life could go back to normal. Instead, it seemed things were as far from normal as they could be. Running for days on end with Rol. A nice boy, but somehow lacking as a musher and leader. Now she and the team had returned home, and Tun was still nowhere to be found. The Homestead vacant, but for the traumatized Kotka. Tunkan completely destroyed and left empty, save Chimlik, alone with a handful of dogs. And Larik. Leaving Larik behind. Sure, he was in a village and in company of other dogs, his safety was not threatened. But to lose a part of the team always meant heartache. And finally, the Lodge. What was once retreat and respite now was crowded and loud. Yes, they were all friends, humans, dogs and reindeer alike, but Sasha was looking forward to the serenity of their home. Now, instead of safety and security was uncertainty and further mystery. Where was Tun? Where were all the members of the old Homestead? Is this now the way they are to live? With a hundred dogs in the house? She made her way around the campus, in and out of the buildings, through the surrounding wood, searching fruitlessly. The sun was beginning to set, and all the dogs and people began to settle down for the evening. At last she came to the place where Alexei stood, staring down the backtrail. “I feel a little safer now at Home, Lexi.” She looked down the trail to see what held his attention so. “Still, the world is all mixed up. New and changing.” Seeing nothing, she scratched at her shoulder, irritated from living in the harness night and day. Nothing broke Alexei’s singular focus. He seemed to ignore Sasha’s comments and replied with his eyes still fixed on the trail. Alexei continued his low whimpering as the team plied the eastbound trail, having left his brother Larik behind at the devastated village that had been Tunkan. The trail paralleled the river, and presently they came to the village fish wheel. This is a water wheel with baskets instead of paddles. Fish lifted in the baskets would be dumped to the side as the wheel came around to the holding bin. Herein could be held a hundred fish or more. Normally, folks from the village would empty the holding bin every day or every other at most. Now neglected several days, the bin overflowed, with many frozen, rotted or half-eaten fish lying on the ground. Fish now thrown onto the pile slid off, and they flipped and flopped until gravity returned them to the safety of the water. Rol stopped the sled a few meters from the wheel, grabbed a fish for each dog, and tossed it to them. Having traveled two days without food, the team was ravenous, and Rol offered a second helping to those that ate their fill and looked for more. He then filled the sled bag with all the frozen fishes that would fit, all the while watching his perimeter for any signs of threat. With the best intentions for feeding the hungry dogs, inexperienced Rol inadvertently hobbled the team. Now with full bellies they would be lethargic, and any strenuous work would result in stomach cramps and vomiting. As the boy tried to press the team eastward, the dogs ambled along slowly, until finally Stone stopped and sat behind Dak at the lead, halting all progress. The rest of the team followed suit, exhausted and stuffed with their meal, and laid down on the spot. No amount of coaxing from the driver could force them to stand, and finally Rol capitulated. They would rest here several hours, during which Rol sat on the sled until he dozed off. When he woke, snow was falling heavily. He and the sleeping dogs had a thick layer of snow on them. The boy rose, returned to the river to fetch water for the dogs, slaking his own thirst as well. Afterward, the group again began their eastward trek. Before traveling far, the trail split around a spruce bog. The main trail bore right, leading around the swamp, back into the forest, the route to the river and the Dezhnevo Trail. The track to the left was much less worn, clearly used more by the wild inhabitants of the area than humans or dogs or sleds. With intent to avoid the merciless soldiers, Rol drove the team onto the narrow, northbound trail that skirted the bog before ascending the steep terrain. Snow continued to fall heavily, and the sky grew darker. The end of the day drew near. The sun, blocked from view by the snow storm, commenced its half-dip below the horizon. The occasional deciduous tree could be seen preparing for winter, dressed now in its autumn raiment of yellow, red, gold and brown leaves. Low growing plants set forth seeds, falling or blowing about, or transported by wild friends. The squeaky honking of a flock of snow geese could be heard crossing the sky, bound for milder climes. The air grew colder with each passing hour. The trail underfoot became hard as rock, and the snow accumulated on it. As the team left the bog behind them, Rol spotted a flag hanging from a tree branch that arched over the trail. Several strips of leather had been tied together and hung. Perhaps this is a marker for a cache of goods, Rol thought. As desperate as his situation was, Rol would not disturb such a cache. Not only would it be unheard of to take something that doesn’t belong to you, but a cache on a trail could be a re-supply someone may be counting on. To rely on such a repository on a trek then find it to be missing could spell tragedy under the harshest conditions. As the team passed the flag, Rol saw the strips were fringes with a distinctive color pattern. When he saw it was the same pattern repeated on the racing sled and harness, he realized this flag was left by Tun. This caused him to pause and consider perhaps this was a message meant for him. Could Tun have cached provisions for the boy, having known he had just two days’ food and would find no re-supply at Tunkan? Maybe the fleeing group chose to lighten their loads by leaving some cargo behind. Knowing Tun’s thoughtfulness, it would be like him to leave something for Rol. Something from the Gifting Giant. The sense of familiarity, the known, the link to someone fond of him brought Rol some warm comfort out on this lonely, cold trail. He stopped and secured the snow hook, and walked to the tree to look for a secreted stash. 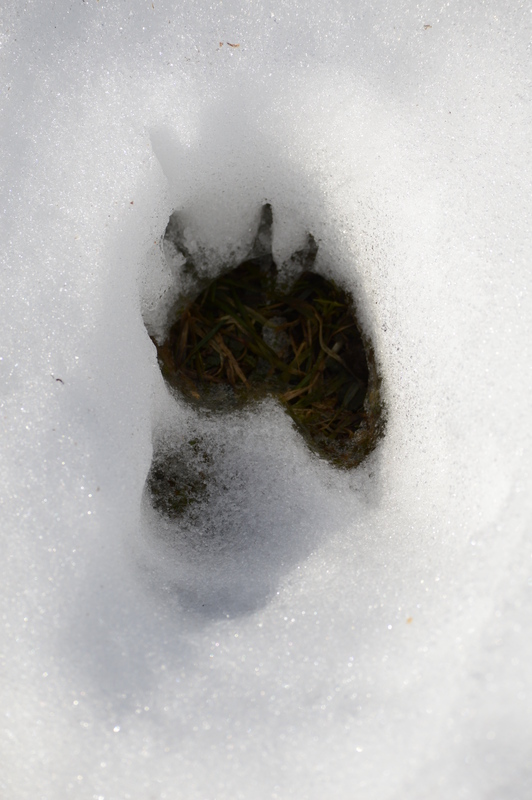 He walked all around the tree, kicking at the snow, and looked up the trunk for a pack tied above the reach of bears. He explored the adjacent area and trees, searched intently for anything that looked disturbed, out-of-place, or heaped in a pile. He could find nothing. Perhaps the flag was reference to something that no longer existed, or was simply a trail marker. Returning to the sled, the party again commenced to move steadily along in the snow-filled evening. Not infrequently, the trail seemed to vanish through Larch stands, thickets, gaps between huge boulders. Often Rol could see no trail at all, and more than once feared he had missed a turn or made some misstep that led to a dead-end. Dak at the lead and the rest of the team never hesitated, and seemed to pick out the trail where none could be discerned, continuing on with steady uphill progress. Before long, the group came upon another flag made of Tun’s jacket fringe. Rol again searched for a cache of goods, a map, anything that might be indicated by the marker. Again, his efforts were fruitless, and they pressed onward, presuming these were trail markers, yet encouraged by the thought that this was Tun’s trail. The team continued their ascent up the craggy side of the mountain, through narrow ravines in the ancient bedrock, across flat spans of granite covered in ankle-deep snow, across a tiny frozen creek where Rol stopped for water. The half-set sun cast a surreal orange glow in the snowy sky as they came to a lean-to. Here, high on this hill, far from the main trail, Rol finally felt they could stop and pitch camp. He started a fire, keeping it small to avoid a plume of smoke that might advertise his presence. He gave another fish to each dog, and roasted one in the fire for himself. The first mouthful of fish seemed the finest thing Rol had ever tasted. He ravenously ate all the flesh he could strip from the bones, and crunched a few of the bones down as well. Fed and tired, he curled in a corner of the lean-to, wishing he’d grabbed a hide or blanket from the pile around Chimlik. The air grew increasingly colder, and just as he began to shiver a little, the wild Black and White Husky came over and curled beside him, pressing his body close to warm the boy. Rol was asleep in minutes, and in his slumber laid his arm across the big dog. All the dogs slept deeply, except Alexei. He would wake often, and stand facing the backtrail, staring for long periods of time. The steady snow piled atop him as if he were a statue. Only the occasional soft cry betraying his thoughts. The smell of the burnt buildings and yarangas hung heavily in the air. An overpowering, sickening smell. Not only wood, but fur, leather and fabrics, food, even metals, had burned and scorched in the conflagration. “Easy. Easy. Slow now, slow.” Rol urged the team, cautiously approaching the village. He watched in every direction for signs of his people, signs of the invaders, signs of anything that could be of a threat, or of salvation. As he and the team drove toward the fur-clad heap in the center of the destroyed settlement, the sound of singing met their ears. Guide us, Iluk-ener, take us home. Remain steadfast, unmovable, however far we roam. And welcome us into the sky when we breathe the air no more. When one is called aloft to you. Though they are free, we mourn them still. We are Lygoravetlyan. From tundra wide to Enmitahin. Iluk-ener, Spirit Lights, guide me home, and all my kin. The dogs of the village spotted Sasha and the team, and immediately barked their “Intruder!” warning as they sped to meet the new arrivals. The moment they recognized the group as one of their own, they all began simultaneously to tell of the events in Tunkan, and to pepper them with questions. Larik barked out brusquely “We don’t have any food!”. The team continued into the center of the settlement with Rol, the village dogs trotting alongside and barking excitedly. He stopped the sled beside the bulge and stepped from the runners. Walking around the pile of fur blankets, he found an opening. Within, aged eyes as blue as ice caught Rol’s gaze. It was Chimlik, Donat of Tunkan. “Yes.” Chimlik answered calmly, as if it were just an ordinary day. “I am well. The village has been raided by a war party. Everyone has gone.” He spoke as if telling a story of the hunt. The old man waited patiently for the rattled boy to finish his string of questions. “Who are you?” he asked with a relaxed air, as if pouring tea for a guest. “I am Rol, son of Evgenii of the Chavchu.” His father’s name, and that of his clan, brought another lump to his throat, but Rol held up his chin with pride as the tears streaked down his face. “Evgenii has gone with the rest.” Chimlik stated, as if there were no special significance to the fact. “Soldiers?” Rol was barely familiar with the term, and had never seen a soldier. He recalled stories of decades ago, how soldiers broke up the villages, tried to drive off the incongruous and inconvenient society at the far-flung reaches of a dawning empire. The boy again burst out sobbing. “What will happen to them?” he squeaked out between gasping breaths. “I wish I could answer your questions, boy, but I don’t know the answers. They are probably taken to be slave laborers.” Chimlik once again stated this quite matter-of-factly. As if they were not sitting amid the devastation of the burnt-out village. As if they were not speaking of people they know, loved ones and family. As if they were discussing things happening far away to unknown people. “Slaves?” Rol sobbed, wiping his nose on his sleeve. “I wish I knew, child. I wish I could tell you.” Chimlik was without pretense or stoicism, and tears flowed down his round cheeks. The many streaks in the dirt on his face gave evidence they were not the first. He placed his hand on Rol’s shoulder and held it there. He made several futile attempts to return to the song of his life. The song he had learned before he was old enough to remember the occasion. Its verses sung with his parents, his brothers and sister, friends, aunts and uncles, cousins. On the trail, moving the herds, in the warm yaranga, or on a hilltop, alone with the universe. As fixed as the North Star, Polaris- Iluk-ener- the unmoveable star, Chimlik and his people were as much a part of the Chukchi peninsula as the glacier and the trees, the volcano and the snow, the wolves and the reindeer. The one and only original man- Lygoravetlyan- and Chimlik was confident his life and fate had been created, directed and known to the Spirit Lights of his ancestors always. One will never know the circumstance of one’s death beforehand. This is a great secret to the Spirits, and that in itself is a gift to mankind. That one may move through one’s days with the understanding that you will arise each day until the day comes when you rise no more, and therefore, live with no worry of it. Several attempts to start the song met with resistance in Chimlik’s throat. A lump choking him, causing him to breathe in rattling gasps. He was surprised, and compelled to tears of joy, at the accuracy of his recollection of his mother’s voice. “Guide us Iluk-ener. Show us the way. Show us the way…” he trailed off, looking to the top of the volcano. Show us the way, Rol thought. His mind had gone blank, unable to see past the shock and loss, the devastation and horror, the black pall of grief. Chimlik sang between sobs. Immediately, Rol felt this was his answer to his unspoken prayer to the Spirit Lights for guidance. This was the way! “Enmitahin!” Rol shouted out, startling Chimlik enough to halt his singing. “That’s where they’ve gone!” He felt an impulse to begin running without hesitation to find his family. Again, his father’s lessons came to the forefront of his mind: “First, we don’t panic.” He repeated the sentence over and over in his head but the words seemed to have no meaning. Try as he might, the thought could not take hold. “They have gone to The End of The Cliff. I will take you there.” Rol suddenly had a task for his reeling mind to focus on. “I will leave you the food I have.” Rol pulled out a small sack containing the rest of the jerky Tun had packed for him. “It’s not much.”. In Chukchi culture, when a man reaches an age where he can no longer leave the yaranga and go out to contribute to the constant work of living in this extreme environment, his time is spent. One fortunate enough to have a son would call for the ritual of death: a knife plunged quickly into the heart. Rol would do nothing to interfere with Chimlik’s Spirit Journey, one’s last journey, into the heavens to join his ancestors among the stars. “Good journey.” was all Rol could think of to say, as he shook the ice-cold hand of the old man. “So, there’s no food I guess.” Larik observed, disappointed but not surprised. Sasha was more concerned with all the inhabitants of the village than her stomach. She added these to the list including Bek’s family and all the dogs of the old homestead, including her own Mother. Rol felt lost. He wasn’t really sure how to get where he was going, and realized he was completely unprepared for an extended trek. This was shadowed by an overpowering sense that he must leave here, escape this place, and search for his family. “Up!Up! Let’s go!” Rol leaned against the back bow to push. “Is this kid crazy?” Larik snarled, “I’m tired. And I’m hungry. I’m not going.” He laid in his traces, refusing to stand. “Come on! Let’s go! Mush!” Rol cajoled and coaxed the team. “I already have. I’m not going.” Larik laid his head on his forepaws. Rol walked over and unceremoniously unhitched Larik’s tug line and neck line, leaving the wheel position empty, and returned to the back bow. “Let’s go.” Stone stated in a tone that sounded saddened and frustrated, but resigned to the task before them. “Without Larik?” Alexei was beside himself with astonishment. Dak began to move, and with him the harness that bound them as a team. “Can’t we rest here?” Umka offered, “With Chimlik?” The sled was already moving, and Rol stepped onto the runners. “But Larik!” Alexei was panicked now. Resisted the tug line, whipped his head around to all the team and back to where Larik lay, his chin on his forepaws, only his eyes moving as he watched the group recede. Alexei let out several loud whimpers. The words seemed to fly over Alexei’s head as he continued looking over his shoulder, repeating his cries. “Yes. I know what it’s like to leave your pack behind.” she replied soberly. “I don’t understand.” Rol had Chimlik repeat the directions. “I only remembered when I saw the sled.” the old man stated. He could be of no more help, he said. That was what he was told to say to the boy returning from the tundra with the racing sled. Rol added this to the jumble of thoughts and emotions racing through his mind, in which he was already on his journey, picking the trails he would take to reach Enmitahin while avoiding the soldiers. Without rest or food, the team was again underway, plying the trail eastward. Each in turn would take just one look over their shoulder, save Alexei, who could not take his eyes from his brother. The bright sun beamed down on them, and sparkling snowflakes began to dance earthward, as Rol, Sasha and what remained of the team left Tunkan for the last time. Rol left the house in good order, save the burnt food smell, and insured the door was latched and would not blow open again, as he found it. He flipped the burnt food pail upside down behind the shed, and scrubbed the other cook pot clean before hitching the team. “Up! Up!” Rol commanded, as the team stood and tensioned the gangline. “Hike! Hike!” the call came, and the team plied the trail eastward. At the top of the valley wall, Sasha decided she would not look back. All the way up the long draw of the sidecut she had thought of turning her gaze at the top. Back upon the trail to her once-beloved home. To look to the place where Mother stood patiently watching Sasha and Anchu leaving. She found herself thinking in a different light as she and the team ascended the ridge. There are times for looking back, looking long. Times to hold these visions close in our hearts and minds. Then there are times for not looking back. This needn’t represent an ending or beginning. There are times for looking forward. Times for seeking and seeing what is before us. Time to leave the dreams of last night’s slumber, and look to define new dreams, new destinations, new aspirations. What is past is now history, memory. It cannot be affected or altered any more than one could remove the sun from the sky. Good and bad, memories will always remain unchanged, unaffected by time. A feeling rose within her. She began to feel and see herself as an independent being. Not only part of the team, not only part of a pack. Not only part of Tun’s family, not only Anchu’s sister, but one equal and kindred to all other dogs, and yet apart. She saw in her life a wheel around which the outboard aspects of her world turned. She remained centered, the hub. There was a spoke of now and today. Rol and the team returning eastward, returning to Tun and Tati and the village. And here was a spoke populated by her old homestead; Bek, Nina, Jiak, Kotka, Mother, Nona the Cat. The dogs’ yard. A house with her name on it. Another spoke ran all the way to the top of the mountain, past Tear-In-The-Rocks Creek, to Tun’s hilltop Lodge, its solitude and sanctuary, its freedom and comforts. Still another led to Kantuk. Jiak and Tati sharing afternoons together. Sasha playing with laughing children, or sleeping in the warm yaranga. Simple, happy times that now seemed long ago, yet the smiles and the sun shone as brightly as the last day she was there. The warmth of the love and happiness shared then filled her now, as the team trekked past Silver Creek, and up the Tunkan Trail. Elsewhere, another spoke of the wheel reached down into darkness. It was filled with mystery and fright and longing. Strangers and soldiers. Illnesses and wringing hands, hastily sent messengers. Peering down a long cave, the images faded into the darkness. Danger unseen, yet sensed. Cold violence and cruel death hidden within, veiled in blackness. Opposite this spoke’s fearful composition, one that reached all the way to the heavens. It touched and stirred the Spirit Lights that danced above. It was white as snow and shined as brightly as the stars. It was safety and surety, warmth and welcoming. It was the spoke of love, all around and above her. From her first vision of Mother to the love of her life, Jiak. From kind and caring Bek and Nina to the wonder-filled joy and love of Tun. It was kisses on the head from Tati, congratulations from Akej, hugs of laughing children. As these thoughts swirled around her mind and heart, she looked up the trail to the top of the hill ahead. Beyond it stood the mighty mountain, the ancient dormant volcano that stood watch over Tunkan. 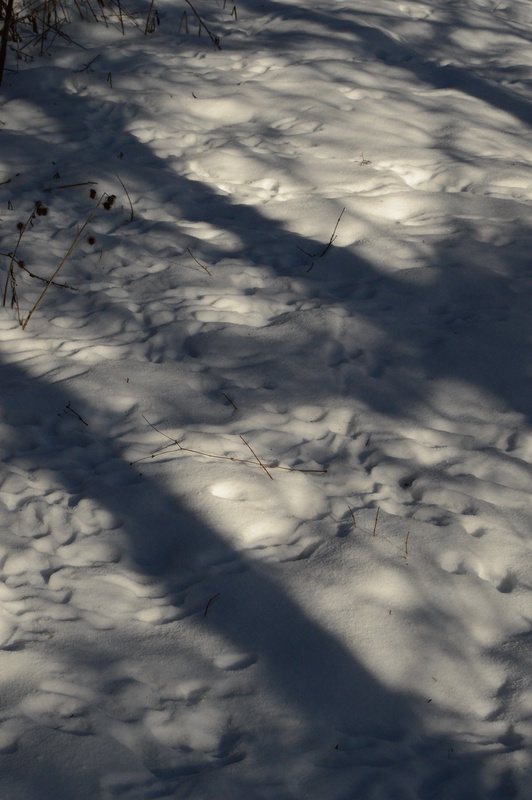 Tiny crystals of ice floated down through the air and were illuminated by the sun, streaming up the trail. A glittering, sparkling column reached skyward and seemed to clasp the hands of the Spirit Lights, joining past, present and future. A great sense of peace and belonging washed over Sasha as she observed the shining spire of ice and light. How could she not have thought of this before? How all of Mother’s teachings guided her to this very place in her life, this moment of realization. “A pack does not need to be all the same species.” Mother had told her when the whole world consisted only of Bek, Nina, Jiak, Nona the Cat and the dogs in the yard. “We are all of us a pack.” she concluded. Sasha thought of the wheel. Bek and Jiak, Tun and Tati. Her team, Akej’s team, Ilja’s team. Of Chimlik and Sarut. Of Kotka and Rol, Rol’s family and herd. The bears, the wolves, the owls and the sables. “We are all of us a pack!” she spoke her thoughts again. As she returned her gaze to the Earth, she marvelled at a newfound feeling within. A warmth and belonging. She now saw everything around her as her own. Not only part of her world, but part of her life. Simultaneously she felt as if she, too, belonged to all these things. The people and the dogs, the Spirit Lights and the snow, the volcano and the trees. She was overwhelmed with a joy hitherto unknown. All the world is her pack, she realized. “We are all of us a pack.” she repeated the words as if hearing them for the first time. Indeed, she felt as if she were seeing the world anew. There must be a reason for this, something must have awakened and inspired this spirit. She vowed to waste no time at this moment trying to discern what the trigger may have been. She’d have the rest of her life to reflect on that. For now, all she wanted was to experience this fullness of spirit, this lightness of being. She felt as if no worry could vex her that she could not see as part of the wheel, this great ballet of life, this kaleidoscope world. She rather suddenly felt she loved everything. Even the fierce wolverine, even the rabbits deigned prey. She watched Kotka trotting along beside the team, and thought of his harrowing tale of fearsome intruders. She thought of the people called soldiers. She could not understand their actions, yet felt still that these, too, were part of her pack. “A mean dog has a reason to be so.” It was as if Mother were whispering the lesson in her ear. Surely the soldiers, too, had reason for their malevolence. This thought, that these so foreign to her, and perhaps evil, were equally a part of the wheel, raced around in her head. Their deeds may be harmful, but they still deserved love and respect. This dichotomy pulled at opposite ends of her heartstrings. On one hand, these wayward ones are still us, still part of our pack. And on the other, the heartache of her own kin, and the unresolved quandary of their present location and condition. Emotions swirled like snow devils as she and the team topped the last rise before Tunkan came into view. “Stop! Stop!” Rol shouted excitedly, momentarily forgetting mushing commands. “Whoa! Whoa! Whoa!” he repeated, “Hold up!”. Still standing on the runners of the racing sled, his hands holding an iron grip on the backbow, Rol began to shake with fear. He stood, wide-eyed, his mouth hanging open, as he looked into the village. “Oh Great Spirit!” he called out, for protection and safety, for consolation and assurance, or perhaps to wipe away the terrible scene before him. The boy who was almost a man could not contain himself, and burst into tears, sobbing uncontrollably, the heels of his hands pressed to his eyes. There, spread across the tundra before him, were the remains of Tunkan. The village he’d left just two days ago filled with revelers and racers, children and campfires, dogs and reindeer and laughing out loud. Now, smoke rose from blackened wood frames of cabins burned to the ground. Not a single one of the dozen buildings was spared. Several yarangas were collapsed into heaps, plumes of black smoke rising from them. Rol was terrified by the scene, and felt that those responsible may still be near, felt he may be apprehended at any moment. He jumped off the sled and hid behind a boulder, eyeing the destruction. He stayed there, frozen in fear and time, observing the smoldering village, looking for signs of life, of his people. No person could be seen, the only activity a half-dozen dogs that scampered from one smoking mass to another. They would each go to a spot in the center of the village and stop, lie down for a while. Some would remain here as others came and went. They seemed to be huddled around a bulge covered by a blanket of furs. It shocked him to see the bulge move. A hand reached out and touched a dog. Just a touch to the head, held for a long minute, then the hand withdrew. The dog continued to stand and stare at the bulge for another minute, its tail swinging slowly side to side in relaxed, friendly motion that was completely out of context in the midst of utter destruction. Someone was there. Someone remained in the village amidst the smoke and debris, where not another soul could be found. The touch of the hand to the dog proved it was not some unknown marauder. Now Rol reconsidered the scenario at Bek’s. Perhaps the family did not simply go somewhere. Perhaps those responsible for this preceded Rol to the homestead. This served only to increase Rol’s fears. Suddenly he worried about his family. His parents and sister, though not at festival, could be gone already. He had to get to the village. Whomsoever was in the bulge must know something about what occurred here. Maybe they were the only people left on the peninsula, he and the bulge with a hand. The team drove into the place that was once the village of Tunkan. Rol was surprised to find the Homestead deserted. It seemed Tun had every expectation the little family still lived here, would be here to report the reason for their absence from the Summer Festival. Indeed, the evidence seemed a little strange; leftovers of a meal on the table, sewing abandoned mid-stitch. Yet one could not know the circumstances of their parting, and this concluded Rol’s assessment of his findings. Hungry and tired, he proceeded to the sled bag to fetch something to eat. The dogs must be fed, too. He pulled from the bag some dried fish and jerky, and as he pulled out the leather pouch filled with rich, fatty solids for the dogs, he was delighted to see a flint in the bottom of the sack. He went directly to the wood stove in the cabin and got a fire going. He placed the frozen bucket of Chukchi chow atop it to thaw. He unhitched the team from the gang line and used their tug lines to hook each to a doghouse in the yard. It was then he saw the black and white dog. Feral, wild, he acted more like wolf than dog. Head low, ears pointed forward then snapping back. Flanking his prey with an unbroken gaze. Standing in the dogs’ yard, Rol froze. He wondered that the other dogs weren’t barking, save Sasha, whose barks sounded friendly and unconcerned. The other dogs, some lying down, simply stared. The young man began slowly to walk backwards, always facing the wolf-dog, fearing an attack at any moment. The wolf-dog stopped his pacing, lifted his head a bit, and stared intensely at the musher. This caused Rol to cease his movement, his breathing becoming rapid, anticipating the assault. Kotka read the signs of Rol’s behaviors. Clearly he was young, and scared. This was not a fearsome stranger, just a lad of his people. Slowly he walked forward to a place between Sasha and Dak. He lowered himself to the frozen ground, tucking his legs beneath him. For the first time in days he had hope for comfort, felt he was now surrounded by those he knew and loved and trusted. He couldn’t shake the insecurity, the mental remnants of the invasive upheaval that had transpired here. His trembling did not stop. On the contrary, now feeling safe and protected by his entourage, his fears rose to the surface to be released. His whole body quaked from the shock of it all, until he began to drift off to a badly needed sleep. His first restful sleep since his world was overturned and torn asunder. Before all that he knew and loved vanished before his eyes at the hands of unknown intruders. Sasha was now more concerned than ever. Kotka was, to her, the biggest, strongest, bravest, toughest dog she had ever known. To have frightened him so, the mysterious events must have been terrifying. She slept uneasily, awaking at every sound of scurrying mammal or fluttering bird. Kotka woke with a start, leaped immediately to his feet, his head low, ears pointing forward, prepared to fight the demons of his nightmares. He quickly realized it was a dream, looked all around himself to insure it was so. 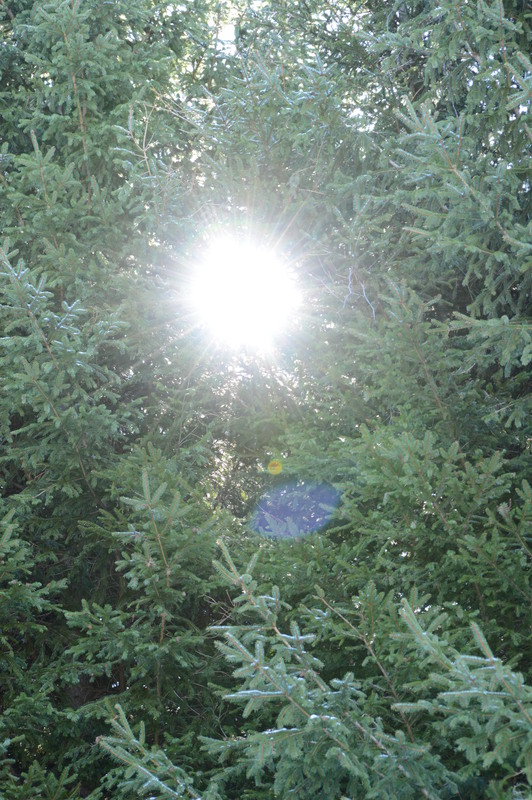 Dappled sunlight played at the ground beneath him, dancing about gaily as a light breeze stirred the mighty spruce trees. But for the whisper of the wind, the Homestead was quiet and peaceful. Yet a strange void remained. The sense of a presence of a family, a working household, a home, was missing. “It’s been a long time since they left.” Kotka now spoke to Sasha as he looked down the trail leading into the Homestead. As if he was expecting something. Maybe the return of his family, or perhaps the soldiers. “I waited and waited.” his gaze remained fixed on the trail. The place from whence the odd and hostile strangers came. To destroy all he knew. The last place he had seen his people and his pack. From his secreted place in the forest, he watched them go. It was only his quick instinctive reactions that spared him the same fate. He didn’t know what was happening, but his years of suffering at his first owner’s cruel hand ingrained within him a sensitivity, an awareness, a sixth sense to recognize a hand devoid of heart. As the gloved hand unclipped the lead from his doghouse, Kotka turned to the strangely clad invader, unleashed a slobbering bark that sent him reeling, falling on his backside in his effort to escape the beast. While calamity and commotion filled the yard, Kotka ran like the wind to the safety of the woods, his muscles quivering, his pulse pounding. Peeking between trees, he watched as the dogs were harnessed to the sleds. The strangers appeared to know nothing of the teams, hitched nonsensically, with lead dogs in the middle, strong wheel dogs way out front, dogs that shouldn’t even be harnessed pressed into service. Bek, Nina and Jiak boarded the huge sledge pulled by the giant Super Reindeer of the soldiers. Shouting and barking faded as the war party escaped with their spoils, and the Homestead fell silent. It was a whirlwind of activity that abruptly retreated up the trail that brought them here. The sun made its rounds. Higher in the east, scraping below the horizon to the west. Several such trips were made around the sky as Kotka waited in the woods, silently, faithfully. Then a sound of barking dogs lifted his spirits. His family had returned! Now he need no longer consider laying here until he died, alone in the wilderness, waiting his pack’s return. But alas, it would be an unrecognizable musher and a skinny ornate sled that emerged from the trail. More strangers and tumult, he thought, until he saw Sister Sasha. It took a moment to reconcile these disparate elements together, the known and the unknown, the familiar and the foreign. A strange sled and driver, a team that seemed strangely familiar, then finally, a face from his own past. Rol was pulled from his nap by panic, gasping for air. He didn’t remember falling asleep in the chair beside the wood stove, and now he woke riddled with fear to find the cabin filled with thick, acrid smoke. It burned his eyes and stung his nostrils, choked in his lungs. He leaped up and ran to the door, flung it open and nearly threw himself outside, coughing and heaving, grinding his hands into his eyes. The Chukchi chow on the stove had boiled over, the fatty liquids spilling onto the hot cast iron, dripping on the fire within. Sooty black smoke now rolled out of the cabin door. It rose in the air to the tops of the trees and began to settle in a thermal layer, filling the homestead with a grey fog. He stood, staring at the billowing smoke, unable to will himself to move. His stomach turned as he watched the disaster unfolding in front of him. He could hardly believe this was happening. He had destroyed Bek’s home. How would he repay him? What disappointment will be shared by his friends and family? All the stresses of the last two days seemed now to gather over Rol like threatening storm clouds. Weighted and pressed on him. There was Tati’s illness, and Tun’s concerns for her as well as Bek’s family. There was the stressful, non-stop express to an unknown destination, and once here, only more questions and no real answers. And now this. He had burned the cabin down. The young man fell to his knees in front of the smoking building, and began to cry. He was startled by a cold nose, and a dog’s snout, reaching beneath his doubled hands to lick his face. As he looked up to see Kotka, he was surprised, but knew now he was a people dog, not a wild half-breed. The only dog with free rein, he would not stand idly by while this young man was suffering. Rol hugged the unkempt old dog, who leaned into the embrace in return. With the door open, most of the smoke cleared, and Rol was relieved to see, after a short time, that the fire was contained to the top of the wood stove, and the bucket of Chukchi chow. Using two pieces of firewood as handles, he carried the smoking pot outside, where it would continue to burn for another hour. The crisis terminated, the young man sat on the roof of a doghouse for a while, allowing the smoke to clear and his nerves to settle, and formulating a new plan of action. With another cook pot, he began again to prepare chow for the dogs. Things returned to a calmer state, the dogs were cared for, and the tasks of living and surviving were once again taken up. Though it stank like burnt food, the cabin was warm, and Rol was exhausted. He had done all that was required of him, and now he sought rest, most of the dogs already sleeping. In spite of the minor fire, he felt proud of his accomplishments, having made it this far, fulfilling Tun’s request, and caring for the sled team. He laid on the small bed in the main room, which was Jiak’s, and in moments the spent lad was fast asleep. Dogs and man alike would dream through their troubled slumber. Dreams of the mysterious and unknown. Of intruders and fires and vanishing households. Of strangers with strange scents and strange animals. In their dreams they would be banded together. Throughout each scene of intrusion and violence and loss, the pack remained intact. Huddled close, protecting one another, with their very lives if necessary. Deep in the half-dark night, Sasha would awaken to a sound. Barely discernible, just a breath in the sky. The soft breeze rustled in the treetops, and she heard Mother’s voice as if she called out from the heavens. A soft smile came to her slowly, as now she began to see things differently, to understand the meanings of Mother’s teachings. Even if they never saw one another again, she realized, Mother’s love is carried within each of us. “We are a pack!” Sasha called out. Several dogs stirred from their sleep, looked at her inquisitively. She imagined Mother’s voice returning her call. The last exchange they had before parting. In the star-filled sky, the whispering winds called out across the frozen miles of the moraine, across the vast spruce forests, from the taiga to the end of the cliff. Thoughts of hope and love and family traced the paths of the Spirit Lights, and spread the word from Kamchatka to Uelen. Reminding all that, whether together or apart, the heart of the pack remains intact. Sasha was eager to see her former home, pack and people. It had been nearly two moons since she and Anchu had left the Homestead to join Tun’s team. She recalled how she could have sworn she’d smelled Jiak at Festival in Tunkan. That just couldn’t be, or the scent of their passing here would linger on the trail. The team was beginning to grow weary, having been on the trail most of a day, immediately following the strenuous race. Rol had not stopped for a break the whole trip. He was eager to get to Bek and Nina’s, and didn’t think like a musher. Experienced drivers know a team could not be pushed too hard, or one might find oneself unexpectedly without transportation. The team sensed a certain urgency from Tun and Rol, and forgave the young man’s errors, pressing on without complaint in spite of tired, aching muscles. As the group topped the next rise, Rol was overjoyed to see the dense, near-black spruce forest not too far distant. Tun had said there would be just a single trail henceforth to the moraine. Sasha yipped with excitement, and did a little hop. Anchu, too, wiggled and barked, anxious to see Mother and all the dogs of the old Homestead. The sun remained a quarter set as the team transited the forest. Its golden glow illuminated the snow and woods, a deep amber cast thrown on everything. The cloud cover continued to move off to the east, and temperatures plummeted as the unblanketed Earth was now exposed to deep space. The Spirit Lights danced and fluttered through the heavens, green and gold, red and purple, their great fingers of light arching over Sasha and the team. Behind the fluid atmospheric light show could be seen stars, welcoming the return of night to Kamchatka, the steppes, the Katmai and the Chukchi Sea. The sun refused to dip more than a quarter of itself below the horizon. It would be a dozen more days or so before it would set in totality. Soon the team emerged from the forest and beheld the vast moraine, their destination in sight. Sasha was beside herself with anticipation as they reached the sidecut trail descending the valley wall. She half-expected to see Mother still standing in the place on the trail from which she bade her offspring farewell. No such vision welcomed her, and though she knew it seemed unlikely, she felt some disappointment nonetheless. Sasha began to notice some peculiarities, some things that just seemed irregular, which started her thinking. “There’s no scent on this trail from any recent passing. This is the East Trapline trail, and would be run at least once a week.” The trail itself was dusted with the day’s snow, and otherwise looked untrod. No runner marks or paw prints in the soft earth. Once at the bottom of the sidecut, the team pulled Rol across the flat expanse of the valley floor, now less than a mile from the island of Spruce Trees encircling the Homestead. Then a strange scent met the noses of the team. So unusual was it that they all took notice. Aside from the smells of a large group of people that were unfamiliar, came an animal scent none on the team had hitherto known. It was a strong scent, indicating a likelihood that a number of these mysterious animals accompanied the party. There was a similarity to moose, maybe a little like reindeer, yet it differed enough to eliminate those species. “And there’s no smoke.” added Anchu. Now Sasha looked to the spruce stand and sniffed the air in rapidly repeated short bursts. There was no smell of the ever-present Home fire, no plume of smoke rising from the center of the grove. “Who are these people? And what is that animal?” Dak posed the questions to his team, especially the oldest, Stone. “These are not people of our peninsula. I’ve never smelled some of these things.” His nose was almost touching the snow as he pulled the sled. “Strangers.” Stone stated, with a tone expressing concern. Caution was in order. “It’s so fun to meet new people!” Umka added, with inflections of excitement and welcome wonder. 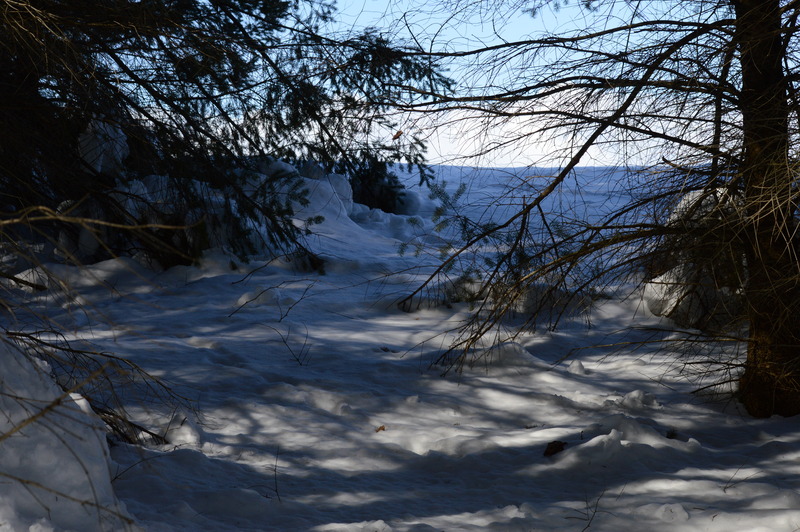 As they entered the spruce stand, there were more signs on the trail, here where the wind did not obfuscate all with drifting snow. Two furrows could be seen, the tracks of a sledge. They were immediately recognizable as foreign due to their extreme width. “Nobody from here to the End of the Cliff would use a sled that wide. It won’t even fit on some trails.” Stone shared his observations as the team rounded the last turn leading to the Homestead, and the buildings came into view. Sasha and Anchu simultaneously barked out calls to Mother, Lema, Kotka and their people. They were all, Rol included, struck by the silence. No barks pealed forth welcomes or warnings, no people walked to the edge of the yard to greet the visitors. Dak passed the door of the cabin and stopped, the rest of the team following suit without direction from Rol. 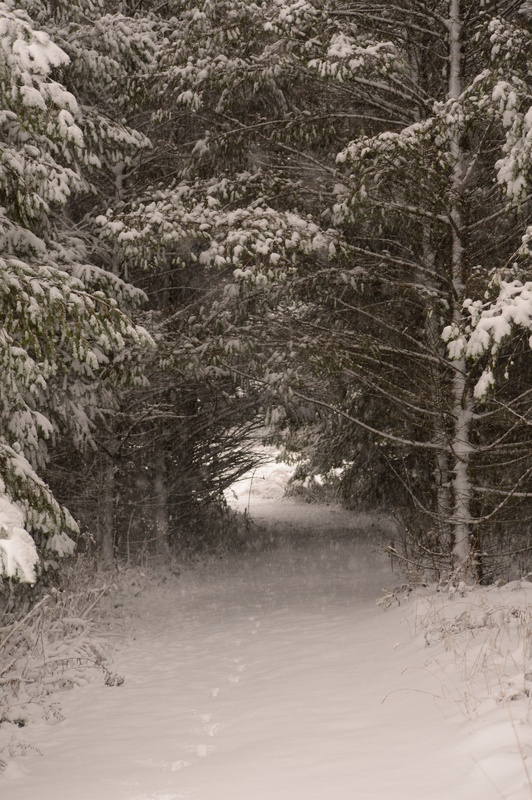 Sasha’s heart nearly stopped as she looked to the cabin and saw the door standing wide open, snow covering the floor, drifted into piles around the wood stove, the table legs, the woodbox and the pantry door. An eerie stillness hung in the air and over the team. All barking had ceased, all eight of them dumbstruck in consternation. As they looked around, they beheld one unsettling thing after another. Every dog house was empty. The primary team and secondary team were gone, as well as the other dozen dogs; the retirees, breeding stock, those on the mend, adopted orphans. Both Bek and Jiak’s sleds were gone. The smells of the strangers were strongest here. They had gathered, lingered, rested, conducted business. “Hello?” Rol called tentatively, remaining on the runners of the sled. He peered into the empty cabin, and the shed where the door also stood open wide. “Hello!” he called more loudly. At this, Sasha, Anchu and Dak were compelled to bark a reinforcement to Rol’s voice. In the orange glow of the late summer night, the silent homestead seemed surreal. “Am I dreaming?” Sasha asked aloud. “If this is your dream I hope you wake up soon. I’m tired.” Larik replied. Rol hesitantly disembarked and walked to the cabin. He leaned a hand against the doorframe and poked his head inside, and again called “Hello?”. The two tiny rooms could be seen in entirety from the door. “Bek? Jiak?” Rol called into the empty dwelling. He looked more closely into the home. It appeared as though the occupants vanished in the midst of an ordinary day. A few items remained on the table from a meal. A sewing kit laid open, the thread of the needle drawn through a new sole being attached to an old boot hung off the side of the table. A full bucket of dog chow waited to be served, now frozen solid beside the door. “They’re gone.” Rol spoke aloud again. Perhaps to the team, perhaps making notes. Perhaps some human sound to fill the disconcerting void. He should be having energetic conversations now with Bek and Nina, petting the cat as they plied the welcome guest with hot food and beverages. To say Sasha was disappointed would be a gross understatement. She felt she missed Jiak, Bek, Nina, even Nona the Cat, more now than she ever had. With this also came a nervousness, an anxiousness, bordering on fright. There were just so many odd circumstances here. Everyone, all the people, all the dogs, had simply vanished without reason or trace. Then in the woods behind the dogs’ yard she saw movement. Low, and black and white, it was a dog. He was carefully placing trees between himself and these newcomers. Cautiously eyeing and assessing them. Suddenly, the head lifted. “Sasha?” the black and white husky called out. “Kotka!” Sasha barked in a joyous reply, repeated it as she hopped on her forelegs and whipped her tail in a wag of elation. The fugitive residents had returned, and Kotka was first to have arrived! Kotka remained where he was, in the woods, behind a tree. “Who is here with you? People, I mean.” He spoke in low tones, stared at the racing sled, his ears folded back on his head. The lightest of snowflakes drifted Earthward through the still air, flitting about their wandering courses as Rol drove the team eastward on the Tunkan Trail. Or, rather it may be said that Rol gripped tightly the handle of the dogsled as the team charged toward their destination. Rol was not as well-practiced in dogsledding as some. His Chavchu family of reindeer herders typically drove sledges pulled by the big, hoofed animals built for the Arctic. His father held little stock in dogs as beasts of burden. “A man does more work caring for dogs than the dogs will ever give in return.” Evgenii had said. Rol’s family had three dogs, but all were herders treated as pets, and were not harness trained. The young man had ridden upon and driven a number of dogsleds, nonetheless, and though he felt less skilled than the best, he was confident in his capabilities. There really was no work for him on this trek, for now. Besides holding on to the back bow, he need do little else as the team seemed to follow Tun’s spoken orders, and knew where they were going. The dogs splashed their way across Silver Creek, but Rol’s lack of dogsledding experience showed as he remained on the runners. The sled ground to a halt the moment it entered the creek and struck the rocky bottom. Rol hopped off the sled, recalling he’d seen it done this way when one encountered open water. As they cleared the creek, Rol was about to call out “Gee!” to the team, to put them on the westbound trail, but before he could, the team turned and did so on their own without commands. Not far up the trail, Rol came to the first of several choices among the routes. Here, a sidecut bore off south, to the left. The right fork held more of a westbound heading. Again, before calling out a command, the team pulled onto the right fork, and continued up a long, shallow incline. The air temperature fell through the afternoon, rather unusual at the onset of a light snow. As the team plied the trail, the muddy ruts and dog tracks through soft snow began to freeze solid, making it a bone-jarring bumpy ride for Rol. As they topped the rise, the trail split again. Here the main trail took a gentle turn to the left, while a side trail intersected it, and ran parallel to the ridgeline. The dogs held to the main trail, and a twinge of anxiety flowed through Rol. He had to trust that the dogs knew their course, as he did not. He could only hope that they were bound for the forest, and not running a trapline or following the scent of someone or something of greater interest to the dogs. The route they took coursed up and down over drumlins and low hills. At the top of each, Rol would crane his neck and stretch and try to look westward, seeking the edge of the spruce forest. Alas, he could see no further than the next hill or two, as each seemed to rise slightly higher than the last. The light snow continued to float about in the air. Individual snowflakes that seemed to flit and dart like birds on the wing. So sparse were they, it seemed the clouds were carefully cutting each one from delicate lace before dropping them gently to the Earth below. As the clouds continued to move to the east, a slim band of clear sky could be seen on the western horizon. The edge of the cloud bank was clearly defined as if its clean edge had been cut with a sharp knife. Below the cloud cover, the orange-red summer sun slowly sank in the sky. As Rol rode along, he watched as, for the first time in weeks, it began to dip below the horizon. The air remained still, and felt continually colder as the snowflakes increased slightly in number, drifting down like so much white confetti. At the top of the next hill, the trail split in numerous directions and was trammelled wide by passing herds of reindeer. One trail was a switchback to the east, disappearing into a ravine. There were four trails that headed generally west. Here, Dak stopped, awaiting a command from the driver. Rol, unaware that Dak was trained to stop at such an intersection, feared the team did not know which trail to take. His stomach flipped in a moment of nervousness. He wasn’t concerned with becoming lost, a back trail will always lead you home. He was bound to keep his promise. Bek’s homestead may have troubles and he was to discover them. He worried, too, that Tun anticipated his return tomorrow with word of his findings. There was no time to be on the wrong trail, but to Rol, each looked the same. “The one in the center, up the hill.” Sasha called to Dak from her position behind Stone. Dak did not hesitate or wait for Rol, but got the team underway on the trail she indicated. Rol harbored some concern that he couldn’t be certain this was the right way. He considered stopping the team to try to discern somehow for himself which was the trail to the forest. 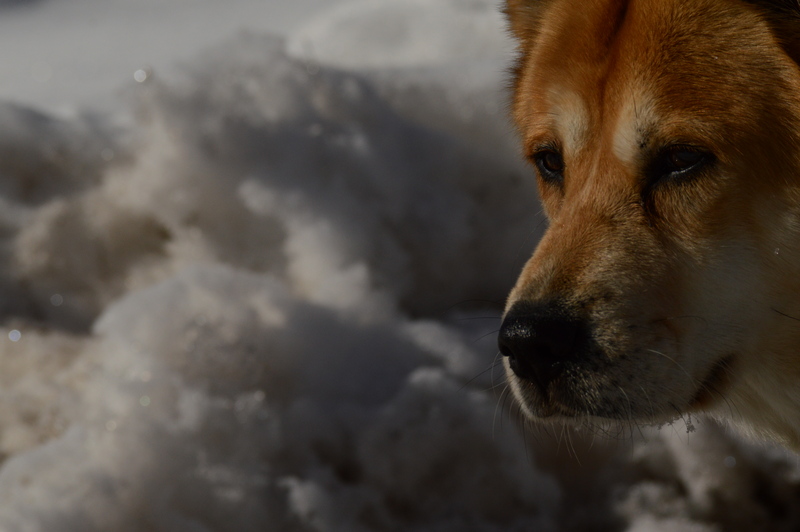 Once again, he had to trust that the dogs, particularly Sasha and Anchu, would know the way that led to the moraine. The sun continued its dip below the horizon, and now a quarter of it was set. All of the sky and snow around Rol and the team took on a golden-red glow, and the clouds above darkened in hues of purple. “Not darkness!” thought Rol, realizing he hadn’t planned on the possibility. Now it occured to him that he really had not prepared for this trip at all. In the exuberance of youth he simply hopped onto the sled and rode off, relying on the responsible adults for any serious need or considerations. If not for Tun packing provisions, he would have ridden off without food for himself or the dogs. He thought now of those long, impatiently-waiting minutes when his father would tick down his well-memorized checklist. He’d assure everything was packed on the sledge. He’d open packs to verify if he couldn’t remember seeing this thing or that properly stowed. Rol realized how, over many trips, his father’s preparations had saved them time and again from tight situations, the elements, hunger, possibly even agony and death. He wished now that he had a checklist of his own, and that he’d employed it for this trip. Now, as the team climbed westward along the trail, Rol’s mind was preoccupied with the list of things he did not bring. No spare boots to wear while his mukluks were drying, soaked in the creek crossing. Nothing for shelter. No tent or canvas or even a hide to pull over oneself, the extents of the trip seemingly an overnight stay at a friend’s home. His father would never leave home without some option for shelter. Who could know when a storm will arise, or perhaps one of your reindeer will suffer injury or death? His stomach turned until he thought he might vomit when he realized he’d brought nothing to start a fire. This raised such panic that he immediately halted the sled. The dogs responded instantly to their training, and stopped three-quarters of the way up the long draw. “Maybe there’s something ahead. A bear or something.” Anchu volunteered. Rol almost stepped off the sled to pull the lead dog around one hundred eighty degrees to begin straightaway to return to Tunkan. His father’s face came into his mind. He spoke no words, but looked confidently and proudly at the young man. In spirit, he conveyed calm. Rol recalled the many days afield with his father, and his mentoring to prepare for life in the Arctic. “First, we don’t panic. There is no circumstance to which we cannot apply our keenness. Your will can create solutions. We respect the Ice Queen, but must not withdraw. If it is our day to die, we must do so. We can believe it is a good day to die.” In an instant, a sense of peace washed over Rol. It was as if his father were here with him, watching over him. “We will not withdraw.” Rol called aloud to the team, who swung their heads around, wondering what his barks meant, recognizing no commands or even words. All the fear and anxiety in Rol seemed to ebb as he imagined what his father would do, were he here. He realized he was cut from the same stock as his father, and trained by one of the best for life in this frozen wilderness. Fire or no fire. Finally, words the team could comprehend. They began again to pull up the long hill. “Starting on a hill…” Larik grumbled.